The assurance we need most is the assurance of salvation. Though we are loathe to think much about it or contemplate it deeply, we know, if only intuitively, that the worst catastrophe that could ever befall us is to be visited by God’s final punitive wrath. Our insecurity is worsened by the certainty that we deserve it. Many believe that assurance of eternal salvation is neither possible or even to be sought. To claim such assurance is considered a mask of supreme arrogance, the nadir of self-conceit. Yet, if God declares that it is possible to have full assurance of salvation and even commands that we seek after it, then it would be supremely arrogant to deny our need or neglect the search. In fact, God does command us to make our election and calling sure: Therefore, my brothers, be all the more eager to make your calling and election sure. For if you do these things, you will never fall” (2 Pet. 1:10). This command admits of no justifiable neglect. It addresses a crucial matter. The question, “Am I saved?” is one of the most important I can ever ask myself. I need to know the answer; I must know the answer. This is not a trifle. Without the assurance of salvation the Christian life is unstable, vulnerable to the debilitating rigors of mood changes. Basing assurance on changing emotions allows the wolf of heresy to camp on the doorstep. Progress in sanctification requires a firm foundation in faith. Assurance is the cement of that foundation. Without it the foundation crumbles. How, then, do we receive assurance? The Scripture declares that the Holy Spirit bears witness with our spirit that we are the children of God. This inner testimony of the Holy Spirit is as vital as it is complex. It can be subjected to severe distortions, being confused with subjectivism and self-delusion. The Spirit gives his testimony with the Word and through the Word, never without the Word or against the Word. Since it is possible to have false assurance of salvation it is all the more urgent that we seek the Spirit’s testimony in and through the Word. False assurance usually proceeds from a faulty understanding of salvation. If one fails to understand the necessary conditions for salvation, assurance becomes, at best, a guess. Therefore, we insist that right doctrine is a crucial element in acquiring a sound basis for assurance. It may even be a necessary condition, though it is by no means a sufficient condition. Without sound doctrine we will have an inadequate understanding of salvation. However, having a sound understanding of salvation is no guarantee that we have the salvation we so soundly understand. To answer that question two more things must be understood and analyzed properly. The first is doctrinal. We need a clear understanding of what constitutes genuine saving faith. If we conceive of saving faith as a faith that exists in a vacuum, never yielding the fruit of works of obedience, we have confused saving faith with dead faith, which cannot save anyone. The second requirement involves a sober analysis of our own lives. We must examine ourselves to see if the fruit of regeneration is apparent in us. Do we have a real affection for the biblical Christ? Only the regenerate person possesses real love for the real Jesus. Next we must ask the tough question, “Does my life manifest the fruit of sanctification?” I test my faith by my works. I call this last question the tough question for various reasons. We can lose assurance if we think perfect obedience is the test. Every sin we commit after conversion can cast doubt upon our assurance. That doubt is exacerbated by Satan’s assault of accusation against us. Satan delights in shaking the true Christian’s assurance. Or we can delude ourselves by looking at our own works with an exalted view of our goodness, seeing virtue in ourselves when there is none. Here we quake in terror before our Lord’s warning: “Many will say to me on that day, ‘Lord, Lord, did we not prophesy in your name, and in your name drive out demons and perform many miracles?’ Then I will tell them plainly, ‘I never knew you. Away from me, you evildoers!’” (Matt. 7:22–23). The article above adapted from Chapter 7 in the short book edited by Dr. R.C. Sproul. Doubt & Assurance. Grand Rapids: Baker, 2000. About Dr. R.C. 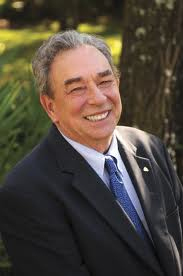 Sproul: He is the founder and chairman of Ligonier Ministries, an international Christian education ministry located near Orlando, Florida. His teaching can be heard on the program Renewing Your Mind, which is broadcast on hundreds of radio outlets in the United States and in 40 countries worldwide. He is the executive editor of Tabletalk magazine and general editor of The Reformation Study Bible, and the author of more than seventy books (including some of my all time favorites: The Holiness of God; Chosen By God; Reason to Believe; Knowing Scripture; Willing to Believe; Intimate Marriage; Pleasing God; If There’s A God, Why Are There Atheists?, and Defending The Faith) and scores of articles for national evangelical publications. Dr. Sproul also serves as president of Ligonier Academy of Biblical and Theological Studies and Reformation Bible College. He currently serves as Senior Minister of preaching and teaching at Saint Andrew’s in Sanford, FL.